Having done some canoeing and kayaking on flat water previously, I’ve been keen as mustard to push that on a level. Luckily for me, I have access to some great rivers and white water sections right here on my doorstep, perfect for anyone tackling them for the first time. 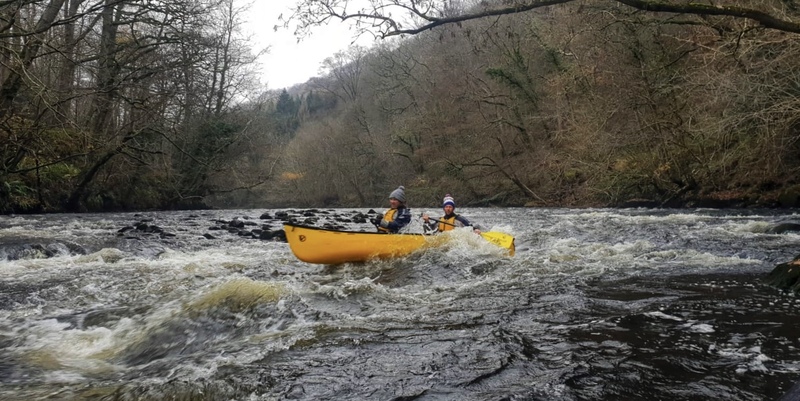 That really is one of the best things about canoeing in North East Wales: its diverse range of waterways can test everyone from beginners to those with much more experience. So, last Saturday, myself and a mate took the short drive over to Chirk to put ourselves in the very capable hands of Tom from TNR Coaching, who are based right on the marina. They provide a variety of experience days and coaching and will even enable individuals and groups to works towards nationally recognised awards. 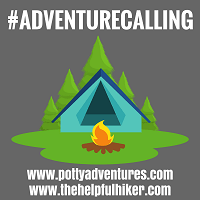 They also offer canoe hire for those competent enough to paddle the local canals and rivers,and ran some very successful family days last summer, which sounded like a great way to introduce children to canoeing. Our plan was to paddle a 25 km/15.5 mile section of the River Dee between Llangollen in Denbighshire and Erbistock in Wrexham. The route would have regular sections of white water rapids interspersed with lengths of flat, calm water where we could absorb the sights and, hopefully, see some local wildlife. Excited, we jumped in the boat and set off on our canoeing in North East Wales adventure. Immediately we were faced with our first test of the day: a shallow section of rapids with a few exposed rocks to manoeuvre our way around. With Tom’s guidance, and just a couple of bumps and wobbles, we were soon through. It felt good to get the first one of the day out of the way, although Tom did throw us a plastic scoop so that we could begin chucking some water back out of the boat! We’d need this a few times as the day wore on. During the next relatively flat section of water we encountered our first bit of wildlife of the day. Herons, in my (fairly limited) experience have always seemed to fly away from me when I have seen them in flight previously. This, however, was a pretty special encounter as a large heron took off maybe 200m ahead of us and flew directly towards us and then directly over us as it followed the path of the river upstream. The fact that it could have only been about 7-8m above us as its large wings powered it along was a pretty awesome site. Even our instructor Tom was pretty surprised by how close it’d got. That wasn’t the only wildlife that we’d encounter throughout the day. Several fishermen, usually the sworn enemy of canoeists, were in the river in waders and at least two that we passed were reeling in fish. Fortunately, we gave them plenty of space and they, in turn, were a really friendly bunch with one telling us that his catch demonstrated what good health the River Dee was in. That’s excellent news for everyone who loves the great outdoors. A little later in the day we’d hear the distinctive squeak of otters in amongst some logs and branches deposited on the water’s edge. Tom told us that he’d seen some in the same area just two days earlier so, being as quiet as we could be, we continued to listen to the squeaks in the hope of one of them making an appearance. Unfortunately, it was not to be this time but just hearing them interacting on this section of river was pretty cool stuff. While we may have heard and not seen the otters, the opposite was true of the diminutive Kingfisher. This quick and stealthily elusive bird flashed its brilliant blue plumage at us a few times throughout the day. They really stand out, particularly at this time of year when the sky is a little darker,and we have the awesome backdrop of the autumnal colours to contrast with their bright blue plumage. They really are a sight to behold but blink and you’ll miss them. As you can see from the array of wildlife in and around the water, canoeing in north East Wales is so much more than an adventurous activity. World Heritage Sites aren’t awarded lightly so to have one right here in North East Wales is pretty special. Although I’ve walked across the top of the Pontcysyllte Aqueduct previously and admired it from ground level, I’ve never, until last Saturday, paddled between its arches. It was a pretty special experience, I can tell you. You really get a sense of the enormity of its structure and design. People waved from hundreds of feet above us as the they crossed over it. However, we had to get our heads back on our paddle strokes momentarily as Tom informed us that this section of water is one that usually ends up with people in the water rather than in the boat. After successfully negotiating its rapids, we passed unscathed through the amazing aqueduct and parked our canoes on a little section of river bank so we could enjoy a snack and a hot drink in full view of the World Heritage Site. Knowing that the light would catch us if we weren’t careful, we paddled hard over the last section of river as we approached Erbistock. We were really motoring now and feeling confident about the largest weir of the day – a significant drop into some fast flowing white water. Tom paddled ahead to grab some photos of us and before we knew it we were over it and through. There was, however, one problem: we’d taken on a hell of a lot of water that no amount of scooping was going to help. Now, anyone who knows anything about boats and canoes will tell you a canoe with a lot of water on-board is very, very unstable. One little tilt and the water rushes to one side making a capsize almost inevitable. We may have won the initial battle with the weir but it was about to have the last laugh. Just as we were about to leave the last section of rapids the canoe clipped a semi-submerged rock sending the two of us into the cold river. It was like the final scene from Titanic where DiCaprio and Winslet cling on for dear life, except we couldn’t stop laughing. It was a truly memorable day. From the wildlife to tackling our first white water, even the capsize will be remembered fondly. The final destination of Erbistock was reached and the lovely riverside pub, the Boat Inn, welcomed us, still in our wetsuits, to a pint and a roaring fire. Days don’t get much better than this. I am truly lucky to live in this lovely little corner of Wales and I hope I’ll meet some of you exploring this section of river next time I’m on it, which will be sometime in the very near future. For more amazing things to do in North East Wales check out the North East Wales website or read our series on the Offa’s Dyke Path. Looks like you had a really fun day. I loved hearing about all the wildlife you encountered on the way. Me and Rick once canoed down Windermere as part of an adventure weekend for his birthday. We started off in the same canoe, and we were rubbish! Going round in circles mostly, with Rick at the front being much more powerful than me. We were much better (going straight) in separate canoes. I decided I must have had better technique as I kept up, despite him being stronger. 🙂 Was a really good day.